As the largest county of England and the United Kingdom, Yorkshire is England in miniature. If it were a country, it would be as populous as Norway and more populous than New Zealand. It has more than its fair share of famous people in the UK parliament and key industries, and the most recognizable names in Hollywood (Ben Kingsley, Judi Dench, Patrick Stewart). 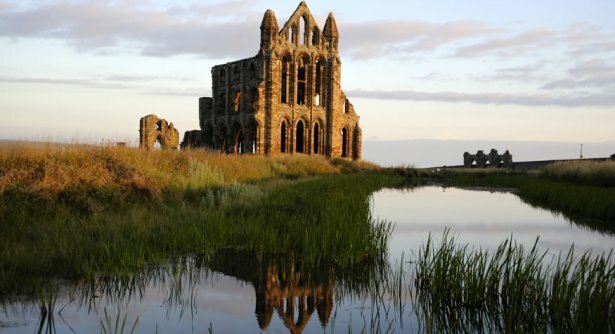 Geographically, Yorkshire also parallels England: sweeping coasts, bustling ports, bucolic dales, ancient fortifications and battlefields, ruins of castles, abbeys, cathedrals, stone hamlets and dreamy villages, cosmopolitan cities, all have their rightful places in Yorkshire. Yorkshire stands right at the heart of the ancient kingdom of the Celtic tribe, the Brigantes, so its history is as deeply rooted as the country’s itself; there are plenty of evidence still standing if you want to investigate. The depth and breadth of Yorkshire’s heritage, natural wonder and urban vibe is enough to occupy a visitor for several days. If you are pushed for time but would like to get wide-eyed, skimming over the region’s highlights should be in order. Yorkshire has also one of the broadest swathes of unspoilt landscapes in England, and despite its sizable population, remains largely under-settled. The Moors to the north, for example, make up 550 square miles of heatherland and only about 25,000 residents. It is bounded by sheer cliffs to the east facing the North Sea, which give way to hills and vales as the land slopes west and south. East of the Pennines – a range of mountains that form the north-south backbone of England – and west of the moorland are flatter vales that supply the region’s food. As the agricultural heart of Yorkshire, the Vales of Mowbray and York make excellent rural escapes with their red-bricked villages and bicycle-friendly terrain. South of the Pennines, the topper on the cake is the urban centre of Leeds, a rather influential city a few notches below London, and the hub of commerce, culture and finance of the region. The operas, the museums, the galleries, the top-shelf restaurants, the plushest hotels in Yorkshire England, and even its most fashionable people, are all found here.